Marble is a type of limestone that is formed by subjecting the stone to a great amount of pressure over a very long period of time, much like a diamond. What makes marble special is the myriad of color combinations and varying patterns. White marble is the product of pure limestone or dolomite under pressure over time. The way marble acquires the characteristic swirls and veins is through various mineral impurities that were originally present in the limestone layers. Minerals such as clay, silt, sand, iron oxide and magnesium will appear as different colors in the finished marble product. Our marble professionals use safe products and methods to restore your marble countertops, floor, vanities, and more to their beautiful, natural state. 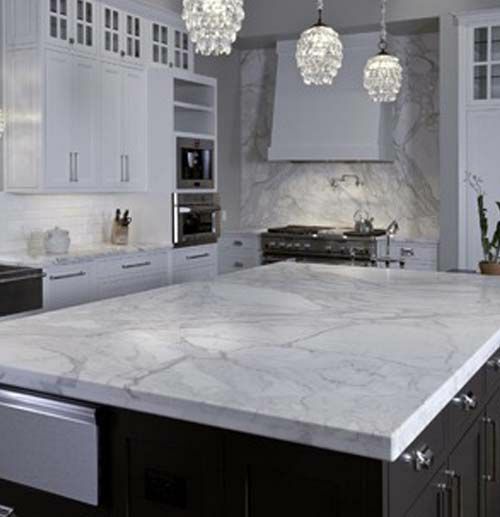 Our trained marble experts are knowledgeable about marble stone care, using our years of experience to efficiently enhance the appearance of marble. At Statewide Stone Care, your satisfaction is our priority. We achieve this by working without delay to rejuvenate the appeal of your marble. Our affordable marble repair in NYC enhance your home and highlights the unique characteristics of your marble slabs. Marble is often used for sculptures due to its waxy look that often gives the piece a human-like texture. The most noted example of its use in construction is the Taj Majal in Uttar Pradesh, India. The durability of marble is something that can be viewed throughout the world in monuments and statues. When considering the amount of time and specific conditions it takes to create a piece of marble, it is no wonder that for centuries mankind has held marble in high regard as a sign of beauty. This beautiful resource has become popular with many interior designers who often implement marble in bathrooms, hallways, and kitchens. Its heat resistance and easy to clean surface makes it perfect for countertops. Statewide Stone Care uses industry standard equipment and techniques to deliver beautiful results in your marble, giving it a shiny and attractive appearance with our marble repair in NYC.